If you have questions about downloading a pattern, please visit the Patterns page. Otherwise, please leave a comment below. Keep in mind that comments, once approved, will be visible to the public. 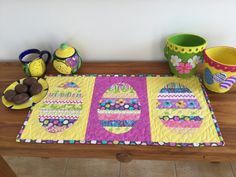 I saw this quilt on Facebook. I need the pattern. Can you help me? It was a autumn one with maple leaves that changed colors from light to dark. We don’t believe a pattern is available for that quilt. Watch our Facebook page. We’ll post there if we do find it. Thank you! Glad to hear you’re enjoying our site. WOW, what a GREAT SITE!!! 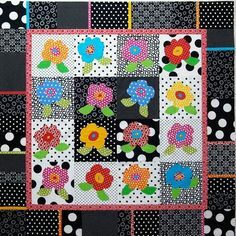 I will share it with quilt friends. I am interested in purchasing the three tour quilt pattern. However I need to be able to do it by phone. Is there any way i can do that? Carla, you can purchase that pattern by contacting Fons and Porter directly. The number is 1-866-729-9601. I cannot get the butterfly pattern, I tried to order it, but no luck. I tried my new password & no luck either. PLEASE I really want that pattern. Thank you. If so, scroll to the bottom of that article and click on the link in the yellow box. 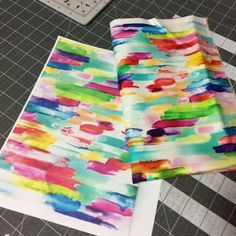 I got a few patterns from you and I am so happy with them. This is a phenomenal website…..whoever you are…..great great job…..!! 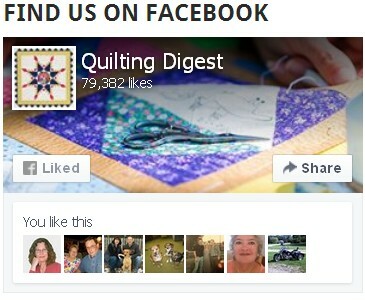 I have quilting digest on facebook and love looking at it all. however, every time I try to download a pattern, etc. my antivirus stops and says they stopped a virus threat. what am I doing wrong? Are you clicking the links in the yellow boxes toward the end of our articles? It’s easy to click on an ad by mistake and get the virus warning. 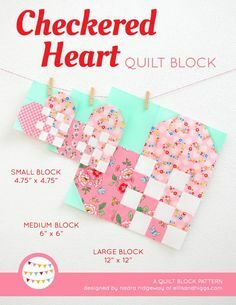 Just read your idea on hanging mini quilts. What I do is use Command picture hanging tabs. The ones where you can just peel off the wall when you want to remove. I have hung very large quilts doing the method. Works great. I attach one side to the wall, the other strip to the quilt. 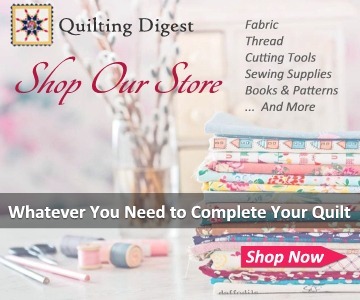 I have taken them off the wall, and the strip comes off very easy and does not leave a mark on the wall or the quilt… I wait until I see them on sale, they come for different weights too. I really appreciate the information you share. Thank you very much and Best New Year!